Fashion in real sense is to wear what we feel comfortable in; it is to break all set norms and bars in order to define new dimensions in the fashion world. However, when we talk about fashion styles of today, the world has experienced the best of things to the most absurd ones. These absurd fashion styles offers us a food for thought, often leaving is smile most of the times. The couture is made of rich and pure chocolate that tastes as sweet as it looks. 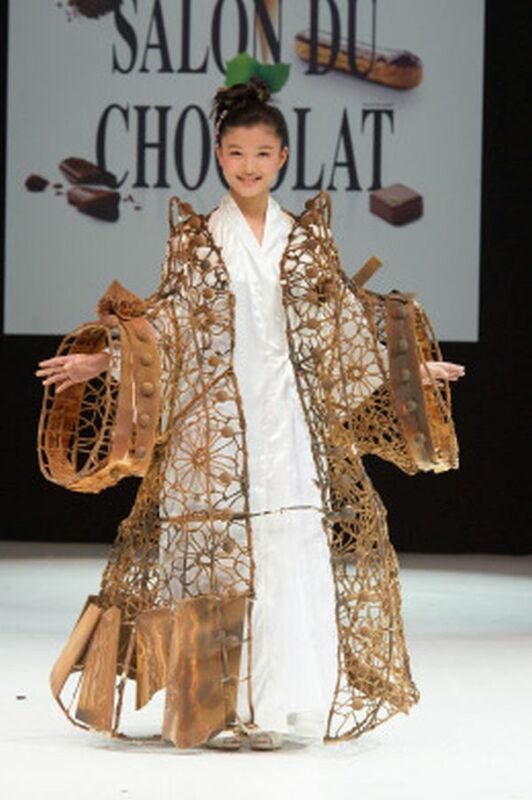 Well for me I would just end up eating this couture instead of wearing it. I am just wondering how the model in the picture, resisted her temptation of eating such a beautiful piece of chocolate. 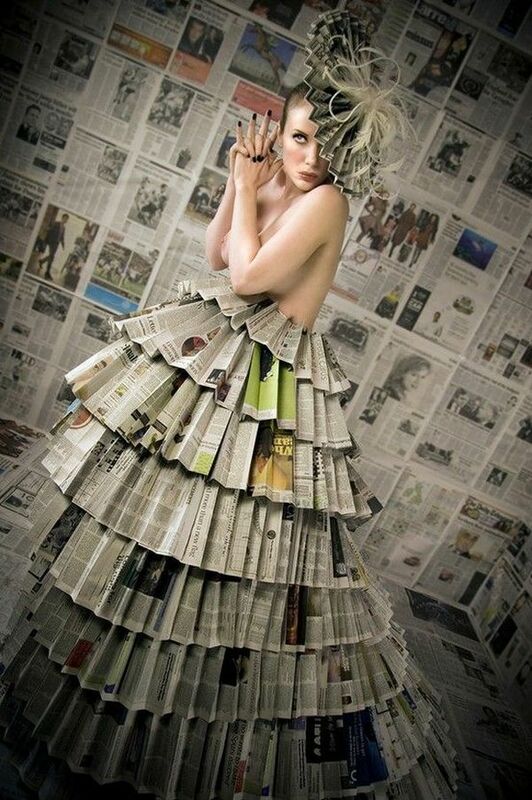 With sustainable and green approaches on a high, such a dress idea is nothing but most natural to strike one’s mind. 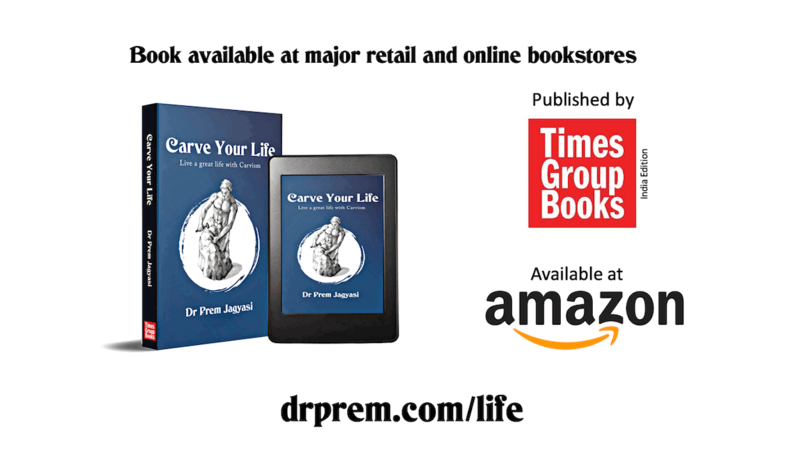 The stress should however be laid on the intricacy involved in the making of the dress. The large newspaper flare is surely eye catching. Most of us want this money dress, not because we want to wear this masterpiece but because this is one dress has the potential to make us rich. I somehow feel that this one is coming straight from the closet of Richie rich’s mother. Vending machines have made our lives so much easier. We all owe the vending machines our deepest regards. Well the designer took this way too seriously. Being inspired by something is one thing and designing a dress out of it is another. You actually need a lot of guts to wear this vending machine inspired skirt. 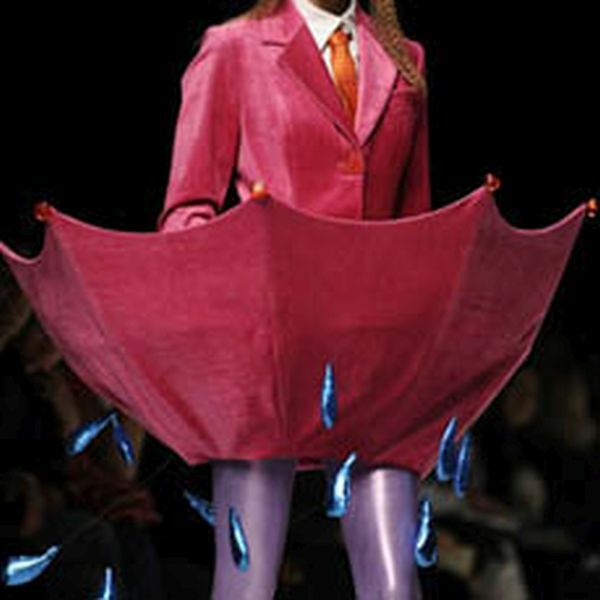 The new use of umbrella is discovered after the invention of the umbrella skirt. Umbrella makes an impressive skirt and can be use for multiple purposes. Right from being a fashion trend, to a water saving technique, the umbrella skirt is doing it all. The American express gold card dress is surely an eye catcher. Wow, I mean what an incredible to promote and advertise about your services. We all know for whom this dress is made, although each one of us hopes to get into the list. The list I am talking of is that of the cardholders not the dress wearers. And all this while, we were not making the right use of aluminum foils. 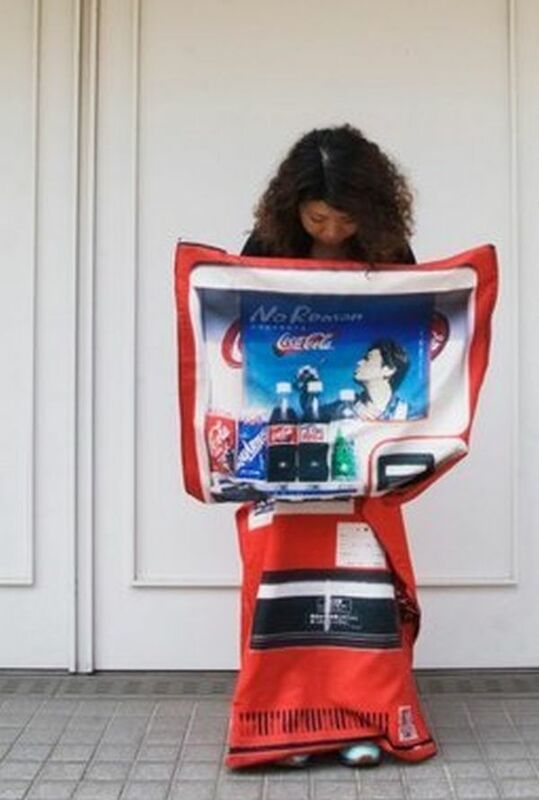 Who said it they are made for packaging food materials, didn’t you see the elusive gown made out it. 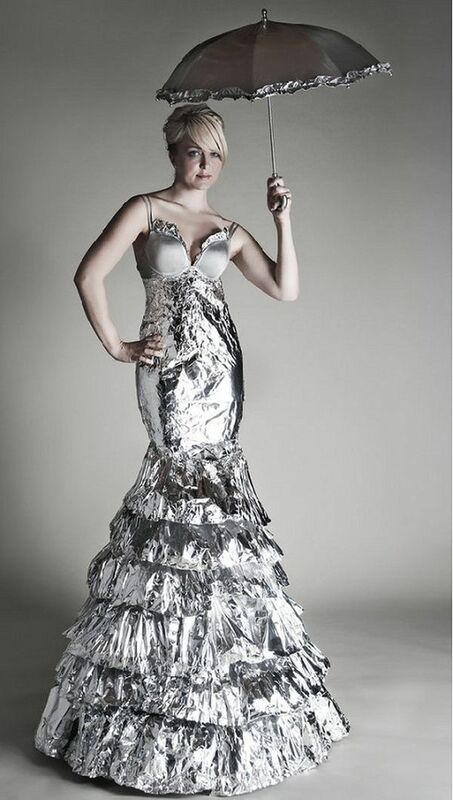 This pretty aluminum gown will be the next closet dream for all girls out there.